Your Facebook business page is an effective tool for engaging with your customers and getting more people interested in your business. At the same time, if you want to get the most out of Facebook you have to follow certain guidelines. You’re competing with thousands of other businesses in your niche so it’s essential to stand out. To begin with, make sure you create a Facebook business page and not try to promote your business from your personal profile. A business page provides quite a few benefits. • A professional image. A business page with your logo, description, and contact information helps you establish yourself as a legitimate business. • Staying within Facebook’s TOS. You’re not supposed to use your personal profile for business purposes so you put your account at risk by doing so. • Friends vs. Followers – Personal profiles limit the number of friends you can have to 5,000. A page, however, can get unlimited followers. • Access analytics. 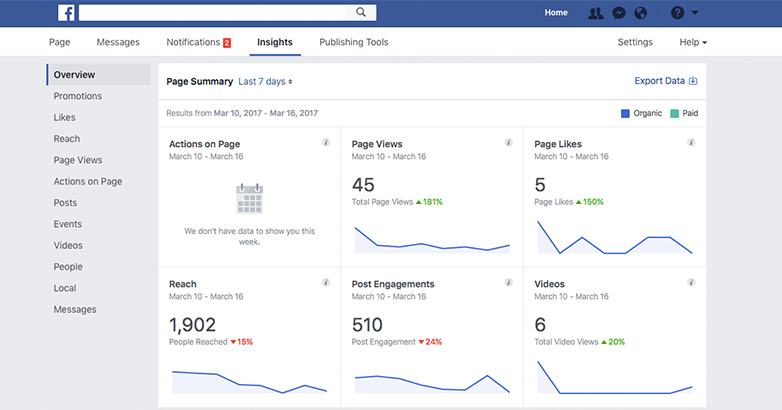 You can track your numbers from your business page with Facebook Insights. You can’t do this from your profile. • Publish reviews. People can review your business page, which provides social proof that helps you attract more customers. 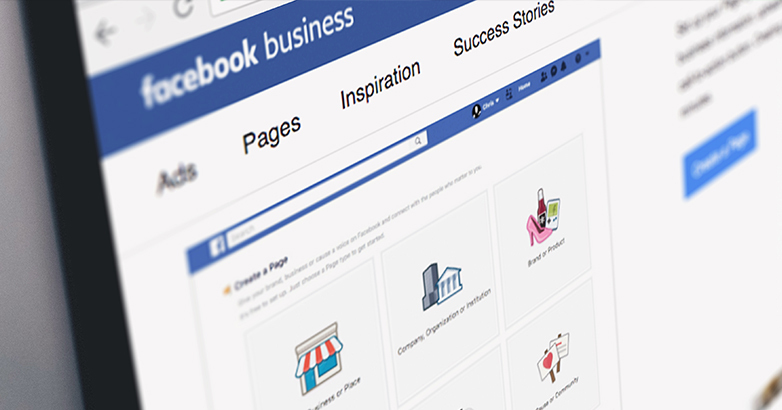 Now let’s look at some ways to optimize your Facebook business page. As long as you have a business page, you may as well take every opportunity to use it to build and promote your brand. • Claim a vanity URL. It’s always better to have a custom URL that contains your business name. If you have a common name (e.g. Johnson’s Auto Repair), you may have to tweak the name a little to make it unique. One caveat is that you need 25 likes before you can claim a vanity URL. • Use an eye-catching cover photo. 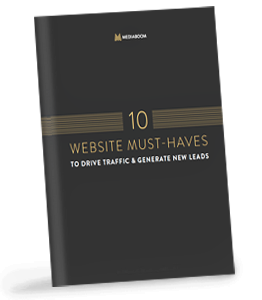 The cover photo at the top of your page will be one of the first things visitors notice. Make sure it reflects well on your business. Avoid using generic stock photos and post a unique and relevant photo. • Write a good description. The About section is the summary of your business. You want people to get a clear idea of what you do by reading this. • Create custom tabs. 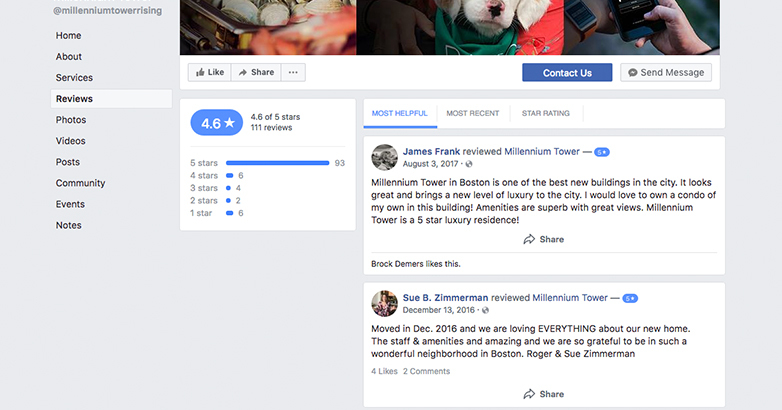 Another branding tactic that you can use on your page is to replace the generic tabs at the top of the page (such as “About” and “Likes”) with your own tabs. When visitors click on your tab, it brings them to the relevant place on your page or to an external website. For example, if you have a tour company you could have a tab for “Book a Trip” that leads to the appropriate page on your website. You’ll need to do some programming or hire a developer to create custom tabs. The adage “content is king” applies to social media as much as websites. Ultimately, it’s the quality of your content that motivates people to visit your page. As with blog posts, you need to consider topics that are compelling to your audience. Here are some factors to consider. • Post regularly. You need to post regularly if you want to stay fresh in people’s minds. However, if you don’t post content that’s interesting and relevant, your followers won’t want to keep returning. They may even unlike your page. You need a good balance between quality and quantity. • Repurpose content. If you’re having trouble finding content for your page, you can always reuse items you’ve posted elsewhere, such as your blog. • Post interesting visual content. One study revealed that images get 37% more engagement than text. People are more likely to share photos, videos, infographics screenshots and other visual content than plain text. This doesn’t mean you should only post images, of course. You need a balance. • Broadcast live. Facebook Live is a powerful tool to engage your customers in real time. Broadcast from your business or at a special event and answer questions. • Learn to post at the best times. You can research the best days and times for social media posting but it really varies depending on your business. Find out when you get the most engagement and plan your schedule accordingly. It’s nice to get a large number of likes for your Facebook page. More important, however, is to have people who return regularly and actually engage with your page. For this to happen, you need to make your page interactive and respond to your followers. When you answer comments and questions, it encourages more people to participate. This gives you a chance to express your brand’s tone and personality. Decide, for example, whether you want your style to be light and humorous or formal and professional. It’s equally important to respond to messages (which are private as opposed to public comments on your timeline). In fact, Facebook pays close attention to how responsive you are. Try to earn a “very responsive to messages” badge, which will encourage more people to send you messages. In order to earn this badge, you need to maintain a 90% response rate and average response time of 15 minutes. The real purpose of your Facebook page is to get people to take action, whether this means buying a product, signing up for a mailing list or visiting your brick and mortar business. To get people to take action, you need to give them prompts and Facebook makes it easy to do this. You can place a button at the top of your Facebook page, next to the Like and Message buttons to get people to sign up for your list or visit your website. There are several buttons from which to choose such as “Shop Now,” “Contact Us,” and “Watch Video.” This is a good way to turn followers and visitors into subscribers and shoppers. You can also boost your call-to-action button with paid advertising. Online reviews are extremely important for getting new customers to try your business. Along with Google, Yelp, and a few others, Facebook is one of the most important review sites. Someone searching for your type of business can find your Facebook page and reviews on Google as well as by searching on Facebook itself. • Make sure reviews are activated. To begin with, you need to activate your review tab so that people can leave reviews for your business. You can do this under page settings. • Monitor your reviews. You want to know about it when someone leaves you a review. 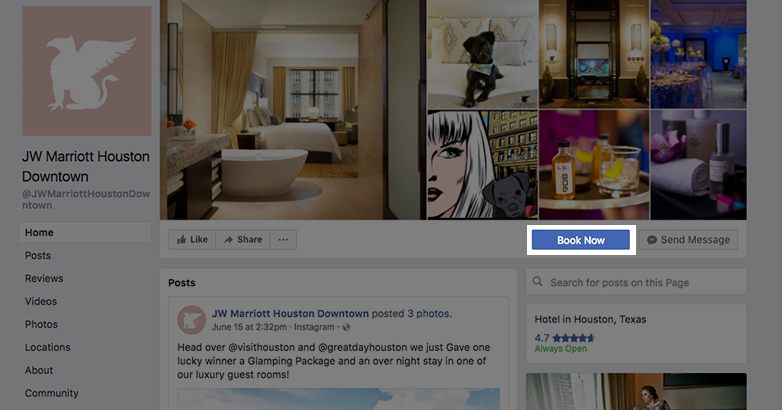 If notifications are on for your page, you’ll get notified whenever there’s a new review. • Respond to all reviews. Always respond to reviews, whether positive or negative. For critical reviews, stay calm and do everything you can to satisfy the customer. You should always thank people for positive reviews. • Spot fake reviews. If you suspect a review is fake (e.g. posted by a competitor rather than a real customer), you can report it. You do this the same way you’d report any type of Facebook post, by clicking on the “report post” button. • Ask customers to review your business. Remind customers, especially happy ones, to leave you a review. You can ask them in person, in your emails, or anywhere you promote your business online or offline. As mentioned, one of the advantages of having a business page is that you can track analytics with Facebook Insights. This free tool lets you track useful metrics such as likes, engagement and reach. In addition to monitoring your own analytics, you can use Insights to keep an eye on your competition. You can access anyone’s Facebook page and see what kind of engagement they’re getting. This provides useful clues about what is and isn’t working for your competitors. 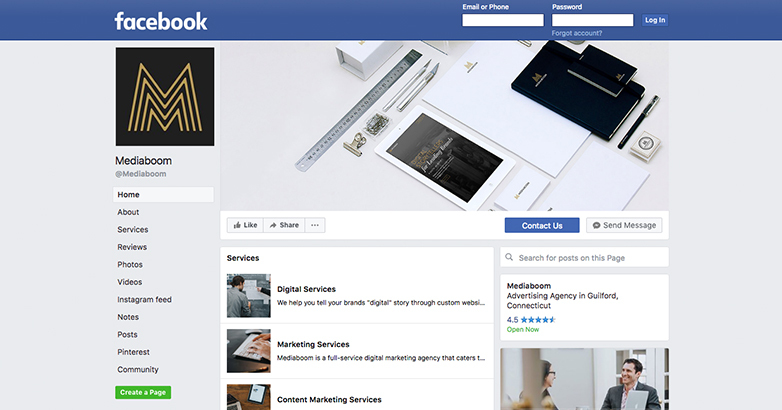 These are some ways to help you get the most out of your business page on Facebook. It takes some effort to create and manage your page but it can really help you build an active audience. Most of your customers are probably using Facebook so you should do everything you can to connect with them when they log on. Using Facebook as a digital marketing tool for your business is crucial to stay connected with past, current and future customers. To learn more about the optimizing your business page on Facebook, contact us today.